摘要 目的 分析上海市浦东新区男性居民2002-2013年前列腺癌发病和死亡情况,并预测其发展趋势,为前列腺癌防治策略提供参考.方法 以2002-2013年上海市浦东新区常住户籍居民为研究对象,按1985年世界标准人口和1982年中国标准人口计算前列腺癌标化率（age-standardized rate,ASR）,包括发病率和死亡率,并应用Join-point regres-sion program分析率值的年均变化百分比（annual percent change,APC）进行趋势分析.结果 2002-2013年浦东新区新发前列腺癌3 235例,世界标化发病率为10.20/10万人年,中标率为7.01/10万人年,逐年上升趋势明显,APC=6.14％,z=9.49,P＜0.001;45～59岁随年龄增加呈上升趋势,APC=54.66％,z=2.73,P=0.02;＞60岁上升趋势明显,APC=10.77％,z=3.79,P=0.003;＞85岁达到最高峰（244.99/10万人年）.2002-2013年前列腺癌死亡1 570例,世界标化死亡率为4.66/10万人年,中标率为2.70/10万人年,逐年显著上升,APC=5.99％,z=4.42,P=0.001;40～69岁随年龄增加呈上升趋势,APC=27.12％,z=11.28,P＜0.001;＞70岁上升趋势明显,APC=16.89％,z=5.19,P＜0.001;＞85岁达到最高峰（322.31/10万人年）.结论 浦东新区前列腺癌发病率和死亡率近年来逐年呈明显上升趋势,相关部门应积极开展前列腺癌病因学研究并应用早期诊断技术以降低其发病率和死亡率. 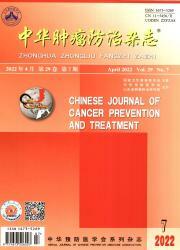 OBJECTIVE To analyze the morbidity and mortality of prostate cancer among residents in Pudong New Area of Shanghai. METHODS The residents of Pudong New Area in Shanghai were recruited in this study from 2002 to 2013. The mortalities of prostate cancer in different groups were calculated and these rates were standardized by the world population in 1985 and Chinese population in 1982. The trends of prostate cancer from 2002 to 2013 and annual percent changes （APC） were analyzed by Join-point regression program. RESULTS Among the 3 235 prostate cancer cases oc- curred between 2002 and 2013,the world ASR （age-standardized rate） of incidence was 11.20 per 100 000 person-year, and the China ASR was 7.01 per 100 000 person-year. The morbidity had a significant upward trend （APC=6.14% ,z= 9.49, P〈0. 001）. There was an obvious upward trend in aged 45 to 59 years old（APC= 54.66 % ,z= 2.73 ,P=0.02） and above 60 years old （APC= 10. 77% ,z=3.79,P=0. 003）. In 1 570 prostate cancer patients dead between 2002 and 2013, the world ASR （age-standardized rate） of mortality was 4.66 per 100 000 person-year,and the China ASR was 2.70 per 100 000 person-year. The peak of incidence rate was above 85 years old （244.99 per 100 000 person-year）. The mortality had a significative upward trend（APC= 5.99 % ,z= 4.42, P= 0. 001）. There was an obvious upward trend in aged 40 to 69 years old （APC=27.12%,z=11.28,P%0. 001） and above 70 years old （APC=16.89%,z=5.19,P〈0. 001）. The peak of death rate was above 85 years old （322.31 per 100 000 person-year）. CONCLUSIONS It is evident that the incidence and mortality of prostate cancer have significant upward trend in Pudong new area. Therefore,an increased focus on etio- logical study of prostate cancer and early diagnosis technology application is necessary.